When you get charged with DWI, it is not necessarily because you were driving your car after drinking alcohol. Here are some unique DWI charges that you can get arrested for. I represent many young adults and college students. I recently had a case in Amherst where my client was a student at the University of Buffalo. He was charged with driving while impaired by drugs. When he was pulled over, the officer smelled the odor of marijuana coming from his car and his person. He then admitted to driving after he had just smoked some marijuana. The penalties for smoking marijuana or ingesting any drug are nearly identical as those for drinking alcohol. Your license may be revoked, you can have a penalty of fines and/or jail imposed as well. We live on Lake Erie on a number of waterways in the Western New York area. Many people use boats and jet skis. In New York it is illegal to consume alcohol and/or drugs while operating a jet ski or a boat. There is a charge of boating while intoxicated and that includes jet skis. I’ve represented numerous people who are out on the Niagara River or on Lake Erie who get arrested and stopped by the Sheriff’s patrol on the lake for boating or driving a jet ski while intoxicated. This applies all over Lake Erie down to Sunset Bay, Mickey Rat’s, and on the Niagara River as well in Niagara County going towards Lake Ontario. Have you been arrested for any of these unique DWI charges? 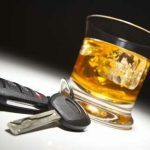 Buffalo DWI Attorney Arthur Pressman can help defend you. Let his experience work for you. Call today for a free consultation.